A new collaboration project Ahn Trio created combines Ahn Trio’s newest program, “Ahn-core Ahn Trio” recital program with a dramatic, beautiful, visually breath-taking lighting created by a lighting designer, Carrie Wood based in NYC. The idea is to turn each instrumentalist & instrument into a character in a play or a film. Imagine if a concert was a play and with the help of lights, each member of Ahn Trio becomes an actor telling a greater story with their instruments. Every time Ahn Trio saw an opera or a Broadway show or a play, Ahns has always wanted to take that just the nice moody stage lighting to another level for their own concert stages. Drama of the lights add so much to the dramatic aria you’re hearing at the opera, can you imagine hearing it without the perfect light that is capturing the exact mood of the tenor’s character? You can, but, the visual and the aural together enhance each other to create a much more complete, satisfying way of listening to music. A 6 movement piece describing NYC between dusk & dawn, “Swing Shift” by Kenji Bunch, written for Ahn Trio. This work is brought back on Ahn’s “Ahn-core” program by popular demand. It was recorded on their EMI album, “Grooveboxes”. And, Rock Suite, consisting of four songs of rock covers transcribed for Piano Trio; Riders on the Storm (Doors), Space Oddity (Bowie), Purple Rain (Prince), & Ziggy Stardust (Bowie) is a truly rock’n collection of Ahn’s favorite rock songs that showcase Piano Trio’s ability as a very complete live band even without vocals nor drums. Ms. Wood has also worked on a number of Broadway shows including West Side Story, The Three Penny Opera, Cry Baby, and Wicked and Merce Cunningham as well as many artists such as Karen Sherman, Melanie Maar, Luciana Achugar, Reggie Wilson, Walter Dundervill, Sarah Michelson, Daria Fain, Michael Lluberes. **Book LIGHTS AHN! Available enroute for the 2014/2015 Season. 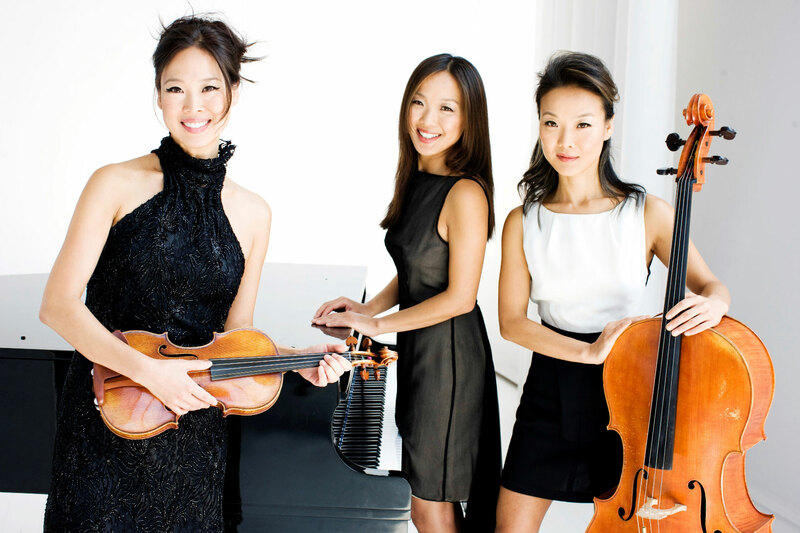 Visit the Ahn Trio Website. Come for a fun, relaxing, New York Sunday Breakfast: bagels, lox, fruit, coffee! Plus, learn the best marketing ideas from successful presenters. Join Us For The Showcase! Be Sure to Stay for the Grand Finale!!! Norman S. Benzaquen Hall located at the DiMenna Center in the Baryshnikov Arts Center. Round trip Van Shuttle will be available from the NY Hilton.